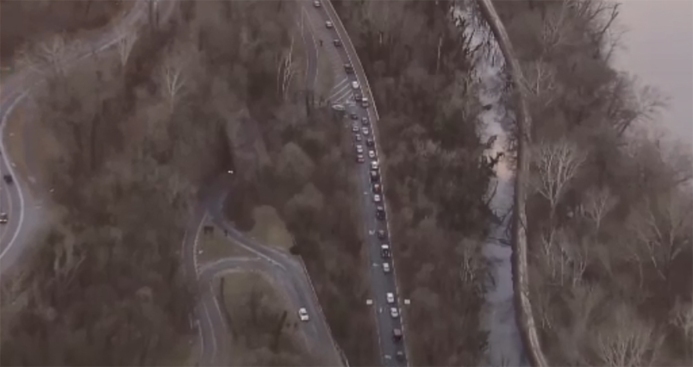 An emergency closure of the Clara Barton Parkway in Maryland has been cancelled Tuesday. The closure was intended to allow crews to make emergency pothole repairs. The National Park Service said their pothole repair machine broke Tuesday morning, so they had to cancel the repairs. The closures were set to span about four miles from the Glen Echo turnaround toward the Chain Bridge. It's unclear when the repairs will be undertaken. Drivers whose cars are damaged by potholes can file a claim for reimbursement. WTOP has more information here.